Both recipes will require the below, then please refer to either Option 1 or 2 depending on your preference! · 2 x Chicken Breasts -minced. Note: I prefer to mince my own as a lot of store bought mince contains a lot of other ingredients and preservatives as well meat scraps. I use either the thermo mix or a food processor to do so. Step 1. In a large fry pan on medium heat add the coconut oil as well as garlic and onion if using, Sautee for a few minutes. Step 2: Add the chicken breast, tamari, maple syrup, sesame oil and ginger. (If you like you can also had a handful of fresh coriander otherwise add to the top as a garnish when served). Continuously stir and use a wooden spoon to gently break up the mince as it cooks. Once it has been cooked through, set aside in a bowl. Step 1: Place the diced tofu into a large bowl and then add the tamari, maple syrup, sesame oil and ginger. Stir through until the tofu has been covered in the sauces. Step 2: Set aside to marinate for approx. 10 minutes prior to cooking. Step 3: In a large fry pan on medium heat add the coconut oil as well as garlic and onion if using, Sautee for a few minutes. Step 4 : Add the marinated tofu including any sauce in the bottom of the bowl to the fry pan and stir regularly until it is a nice brown colour and slightly caramelised on the edges. 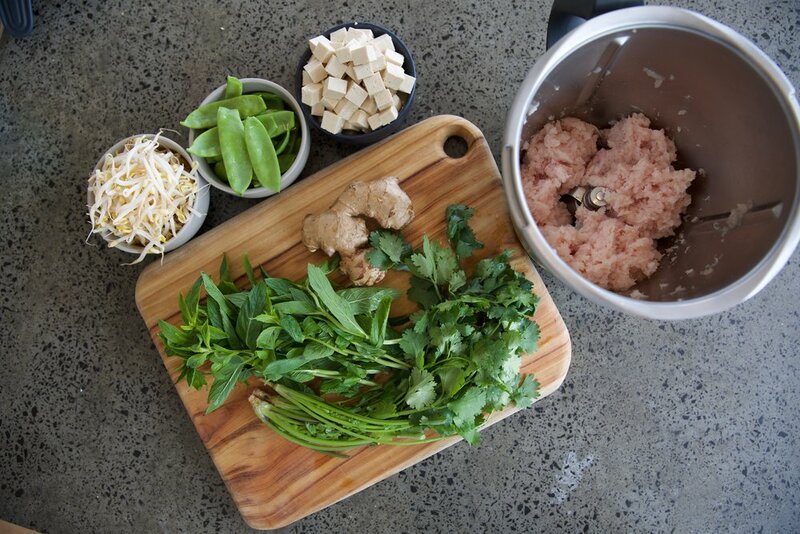 Serve Either options in Iceberg lettuce cups with sprigs of fresh coriander, mint, bean shoots and snow peas. I also like to garnish with some black sesame seeds.